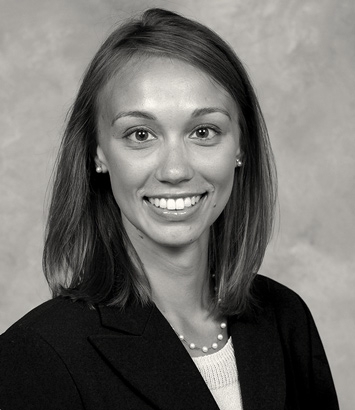 Alicia Stefanski is a litigation lawyer in Dinsmore's Columbus office. Alicia boasts a diverse practice, handling everything from product liability and breach of warranty cases to complex commercial litigation matters, including non-solicit, breach of contract cases, and real property litigation. She also assists business clients in defending tort actions, including premises liability, negligence and wrongful death claims. She has worked with a variety of clients, from internationally-known vehicle manufacturers to residential and commercial loan servicers and financial institutions, and from small businesses to Fortune 500 companies. She is adept at guiding clients through every step of litigation, whether managing the discovery process, participating in depositions or negotiating settlements. Alicia has extensive experience in preparing matters for mediations and arbitration proceedings and has taken several cases to jury trials in both federal and state courts. Her thorough, practical approach to working with clients enables her to learn their tolerances and objectives before crafting a strategy that meets their needs. Alicia has handled a number of cases involving claims of due process violations against municipalities and government entities. She earned her J.D. from The Ohio State University Moritz College of Law.